1. The inclination angle of the mixing blades of the mixer should be same and the installation of the mixing blades should not be wrong. 2. The inclination angle of the mixing blades of the concrete mixer should not be too big or too small. Otherwise, it will affect the mixing quality of the beton mixer. 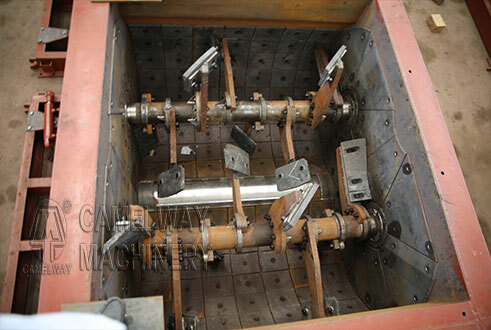 Therefore, the inclination angle between the mixing blades and the mixing shaft line should be around the 70° or 80°. 3. The installation of the mixing blades of beton mixer should be firm and it is necessary to fasten the first bolts on the mixing blades of the beton mixer to the greatest extent.